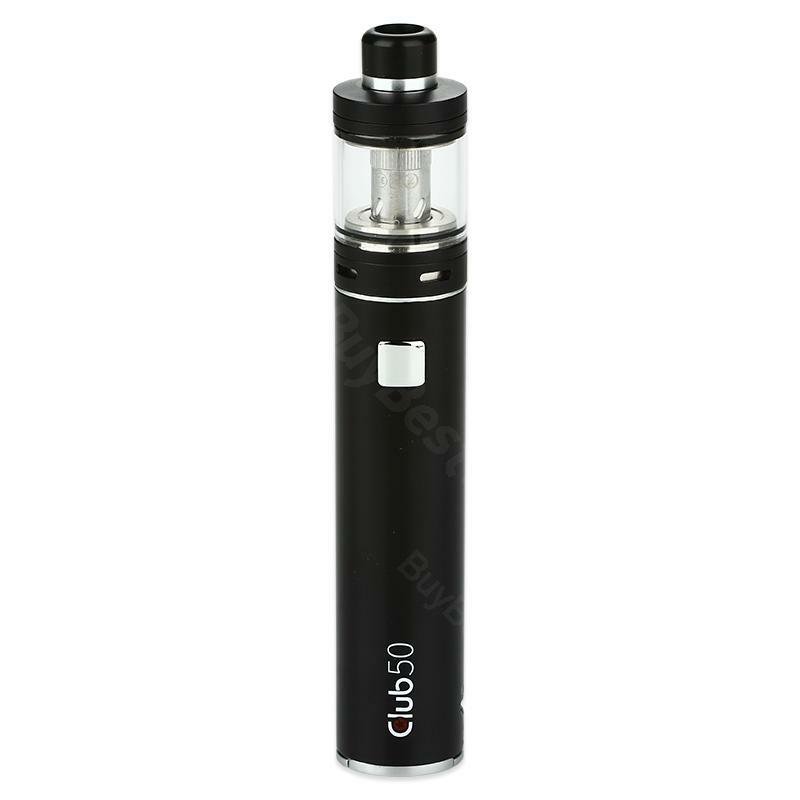 The Club 50 Micro Kit is a pen style vaping device with built-in 1600mAh battery and Air Tank of 3ml e-juice capacity. Black and Silver colors. SMOKJOY Club 50 Micro Kit, includes Club 50 MOD and 3ml Air tank. Club 50 MOD supports VV and VW modes with max 50W output. And the bottom LCD will display power, resistance, voltage and wattage clearly. The compact size and various protections make the club 50 a good choice to carry anywhere for vaping. Black amd Silver colors. SMOKJOY carries on the healthy ideas, receives many people's approval and its products are hot now, so I also bought one, lol. Habe noch nie so schnell und einfach, vor allem aber so schöne SMOKJOY Club gemacht. funktioniert mit normalen und auch mit sparfiltern perfekt.